We’ve been waiting a long, long time for Special Counsel Robert Mueller to finally blow the lid off Donald Trump’s crimes in public view. Trump has been fearing that day of reckoning for as long as we’ve been awaiting it. Now all indications are that we’re looking at a four day stretch – starting tomorrow – that’s going to change everything. It all starts tomorrow when Robert Mueller is scheduled to finally file the plea deal sentencing memo for Michael Flynn, after a full year of cooperation. That filing will include details about the crimes that Flynn committed. NBC News is reporting tonight that Mueller will make the Flynn filing public. So after all this mystery about what Flynn was really doing with Trump and Russia during the election and the transition period, and what he’s secretly given up to Mueller, we’re about to get answers. But it’s just the start. This Friday, Robert Mueller is scheduled to file a sentencing memo for Paul Manafort, which will include a list of the things that Manafort was lying about when he violated the terms of the plea deal. Michael Isikoff of Yahoo News is confirming tonight that Mueller will make the Manafort filing public. Also on Friday, Mueller will file the sentencing memo for arguably his most valued cooperating witness, Michael Cohen; that document should detail the ways in which Cohen has helped Mueller to nail Donald Trump. 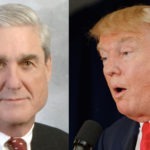 In other words, just about everything is about to come out in the wash. By the time these three Robert Mueller court filings in four days have played out, the American public will have a rather extensive picture of the Trump-Russia criminal conspiracy, and Donald Trump’s role in it. Buckle up, because we’ve all been waiting for this.